Churchill warns nation against believing rumours that invasion threat is over. Italian troops under General Guglielmo Nasi invade British Somaliland from Italian Ethiopia. The Archbishop of Munster gives a sermon in which he calls the Nazi euthanasia program murder. The archbishop is imprisoned in a German concentration camp until the end of the war. Army Group Centre takes 38,000 Soviet prisoners after the Roslavl battle of encirclement. 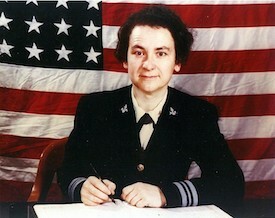 Lieutenant Commander Mildred McAfee is named the first director of the WAVES, becomes the first female officer in the US Naval Reserve. The FBI arrests 89 ‘dangerous aliens’ in USA. The Red Army launches an offensive from Belgorod area toward Poltava after the failure of Operation Citadel. The Soviet Voronezh and Steppe Fronts penetrate into Army Group South’s left flank forcing the Germans are to retreat. Gen. George S. Patton slapped a private at an army hospital in Sicily, accusing him of cowardice. The Italians begin evacuating Sicily. Hitler orders a counter-attack against the U.S. troops from east of Avranches, in order to re-establish positions on the coast. General Stilwell’s troops, the NCAC, with the help of reinforcements, succeed in securing the town of Myitkyina in North Eastern Burma, but the 600 surviving Japanese are evacuated after holding out for 79 days. Soviet spearheads in the area to the east of Warsaw, are destroyed by German counter attacks. The USN announce on Guam, that the complete blockade of the Japanese homeland has now been achieved. Czechoslovakia denies citizenship to ethnic Germans and Hungarians.